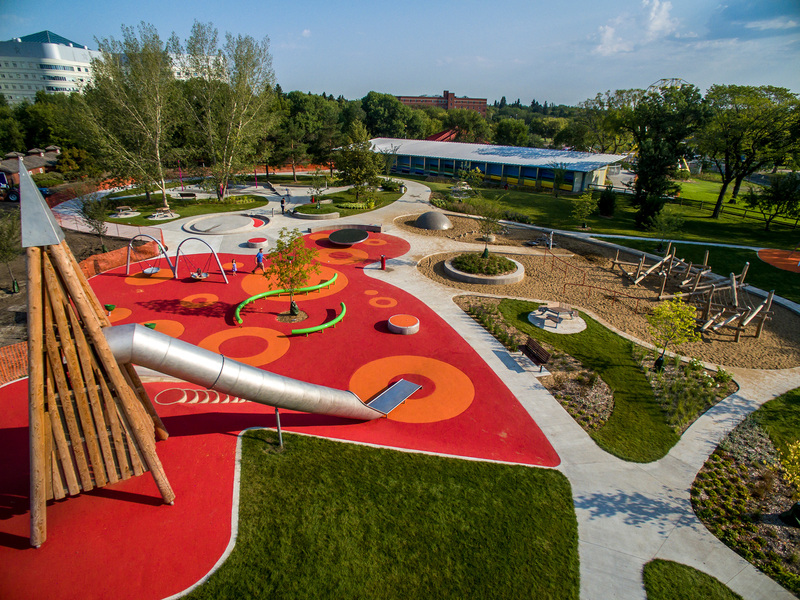 As Saskatoon’s oldest park, Kinsmen Park has been one of the city’s most prominent and well-loved places. 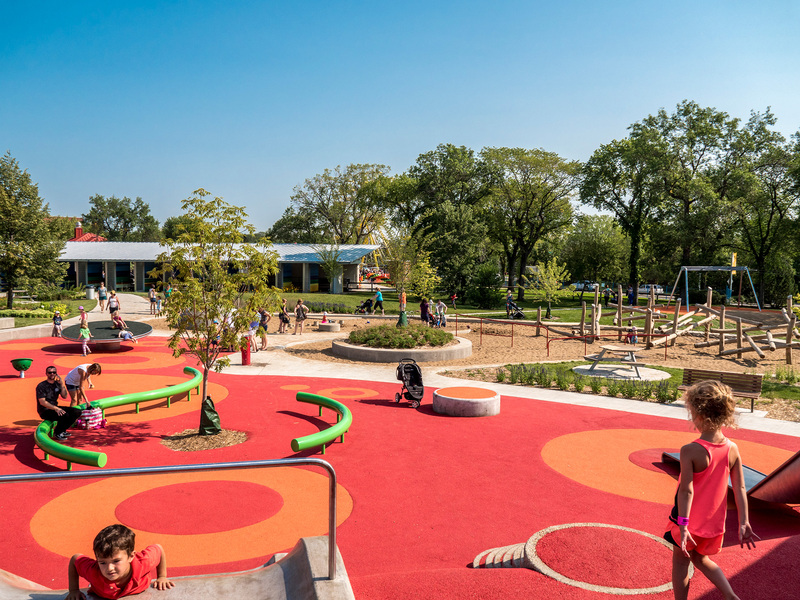 From its origins over a century ago, this 31-acre site has been a key gathering place in the city bringing families together to play, socialize, and connect with nature. 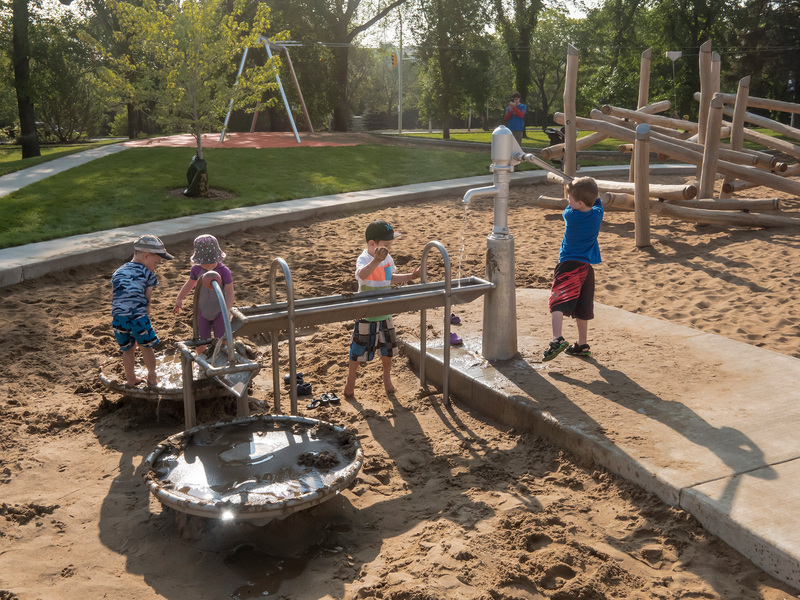 The recent improvements to the park, including a new Ferris wheel, miniature train, restored carousel and a generous play environment have reinvigorated the park’s appeal and its legacy as an iconic destination within Saskatoon. "This is a fun, exciting and unique design that leads the way in public engagement. 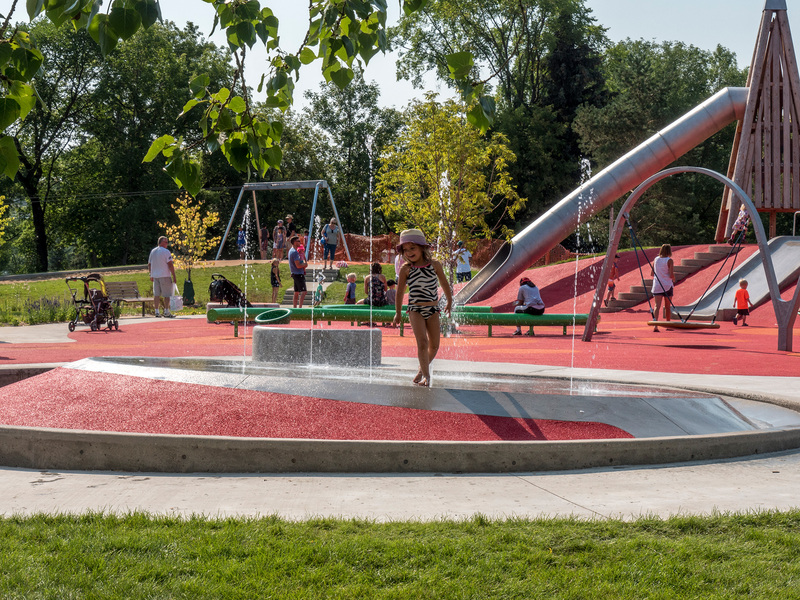 The design captures whimsy and awakens childlike reactions by inviting passersby to kick off their shoes and run in the grass. 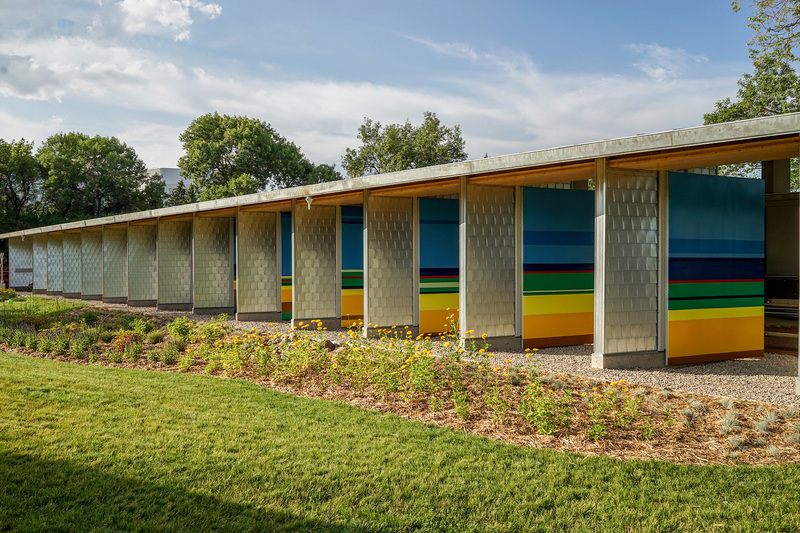 The volumes and spaces and colours are fanciful and add spark and energy that are critical to attracting people and activity. The design is also an homage to the carousel and the tradition of the fair. The design team was transparent in their engagement of the community and brought specific community wishes to fruition. For example, children were engaged in the planning, and conceptual design stages and some of the early ideas modeled by children in clay ended up in the final design."